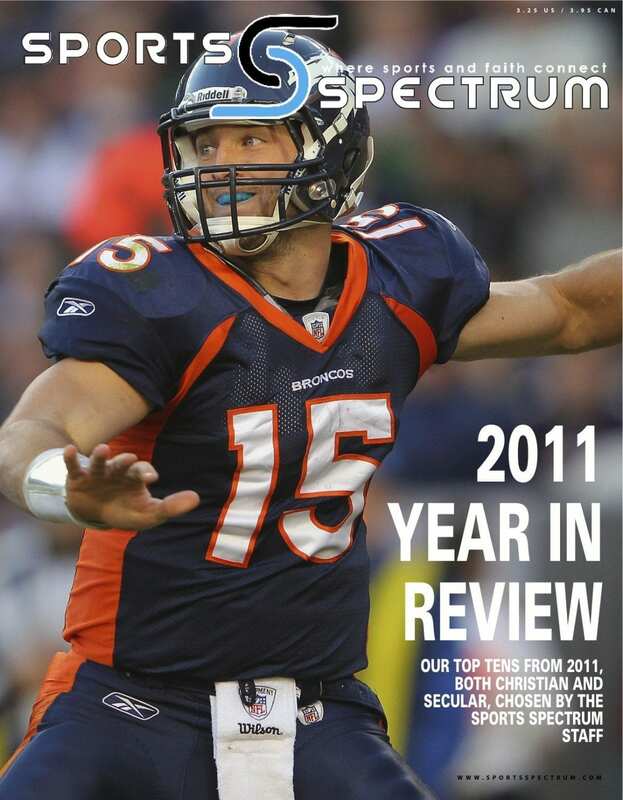 Read our 2011 Year in Review DigiMag, where we, as a Sports Spectrum staff, give you our top tens from the year. Categories are both Christian and secular: sporting events, Christian sports stories, upsets, Christian athletes to watch in 2012, intriguing people, distinctly Christian colleges, controversies, Sports Spectrum quotes, rising stars, SS features, SS Coach of the Year and SS Athlete of the Year. This is our gift to you to kick off 2012. 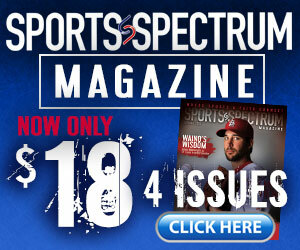 Subscribe to Sports Spectrum and receive eight issues, four 100-plus page print issues and four 12-plus page digital issues, by clicking here.